Katrina's Kreative Heart: The Last Day to Save! 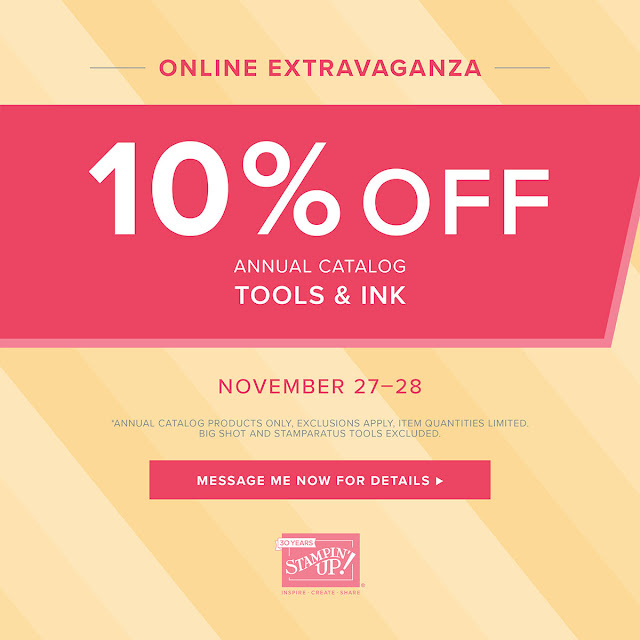 Good Morning, I wanted to send out a quick reminder that today is the last day to save on inks and tools! Don't miss out on this great opportunity. AND, did you know, this is the PERFECT time to join my team? Well it is because, you can add inks and the tools that are on sale to your starter kit at the sale price which means it will take even more product to reach the $125 total and you will only pay $99 plus tax with FREE shipping! So certainly something to think about. It remains the best deal in the catalog hands down. And as a member of my team you have access to team meetings and training, access to our team Facebook group page and access to creative ideas, team challenges and swaps. I hope you consider joining our team, we would love to have you whether you want to just get a discount on your crafting supplies or you want to build an awesome business; all are welcome. But no matter your decision, take advantage of this awesome sale!